Youth Advocacy Forum in the Barangays » Zamboanga-Basilan Integrated Development Alliance, Inc. Together with certain Barangay Local Government Units, ZABIDA co-hosted a Youth Forum for the whole month of September for youth in the communities. The activity focused on the role of the youth in the nation-building. Of particular concerns were the Sangguniang Kabataan (SK) Reforms Law and Upcoming Elections, Climate Change Adaptation, and Illegal Drugs Awareness. Other partners who supported the Youth Forum were the National Youth Commission, Zamboanga City Office of the Department of Interior and Local Government, Philippine National Police – Regional Public Safety Battalion and Zamboanga Public Safety Company. A series of forums within this month have been conducted for the youth in the following barangays: Patalon, Salaan, Cawit, Talon-Talon, Guisao, Manicahan, Mercedes, Limpapa, Labuan, Sinubong, Victoria, Lamisahan, Sangali, and Dulian. 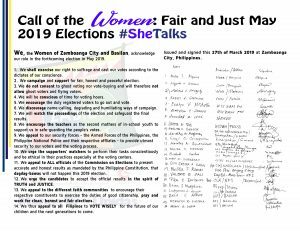 With the SK and the Barangay Elections being anticipated in 2016, ZABIDA has expressed support for the youth sectoral plan to hold the advocacy campaign on the above cited topics. It is likewise anticipated that, whether the elections are carried out on schedule or not, more awareness of the new SK Reform Laws would be most advantageous for young leaders, especially those who are interested to run for SK posts. This Forum served as a re-echo opportunity for the youth leaders who participated on the Youth Peace Forum earlier held on August 13 in celebration of the International Youth Day. It was organized by Peace Advocates Zamboanga (PAZ) and held at Claret School of Zamboanga . 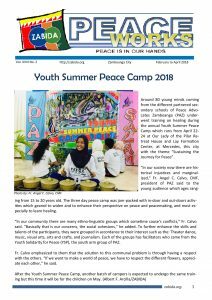 It will also be recalled that in a Regional Youth Forum conducted last year for youth leaders from Zamboanga City and Basilan, issues and concerns related to their sector were identified and prioritized. Those considered of foremost importance included the right of young people to political participation and the Illegal drugs campaign.